After a few long years of experimenting with freelance structures and one-off engagements, the business world has come to realize that project contracts aren’t always the best solution. And, that makes perfect sense: since both short-term deals and retainer agreements have pros and cons of their own, the decisive factor should be whether or not one of them makes sense in your specific situation. Let’s find out what retainer contracts actually are, and for whom, when and why they deliver stellar results. 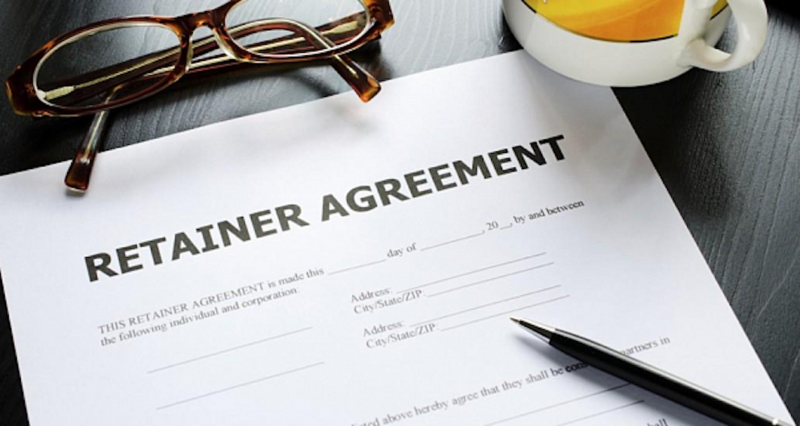 What Is a Retainer Contract? By definition, a retainer is a “fee paid to a person or firm to secure the privilege of obtaining its services as and when required”. But, the important difference here is that retainers reserve agencies for a certain amount of time. Unlike projects, which usually last up to six months, retainers imply long-term commitment between a client and an agency. For a fixed (and lower) rate, you’re getting not one, but a number of different projects and ongoing activities, depending on the scope of work that needs to be done. While agencies reap a lot of benefits from retainer-based work, there are some scenarios in which clients can come off short. For example, you might pre-pay ongoing services of a financial consultant, but end up needing their advice only twice a year. For the rest of the time, you’d basically be donating your money for no real output in return. There are 4 types of retainer models, of which at least 3 address this concern. By putting an emphasis on value instead of time, they guarantee that none of the money you pay goes to waste. You should always choose a model in accordance to the nature of services you’ll be obtaining, but that still doesn’t mean that you shouldn’t insist on having your needs answered, too. Retained contracting/consultancy services: With this one, you’ll be obliged to pay a set monthly fee for a certain amount of the agency’s time. In case you don’t use up that time, it will be transferred to the following month. Classic retainers: This model might as well be called “what you pay is what you get”, since no surplus of time is being transferred to the next billable period. However, the same goes for the agency’s delivery. In case you need them to do some extra work, you won’t have to pay an additional fee. Retainers where the deliverable is value: Instead of a set amount of the agency’s time, this retainer model defines an end value that the contractor has paid for and has to provide. A retainer to gain access to sought-after services: Finally, with this type of retainer contract, the thing you’ll be buying is the privilege of being a contractor’s client - even if you seek the expertise and services the agency provides only once or twice a year, you’ll be paying for them on a monthly basis all the same. As explained earlier, the retainer contract legally binds you to the agency you’ve signed for, and not for a short period of time. Consequently, it requires some mindful thinking. Be careful not to rush it, but analyse both pros and cons beforehand. If you’ve determined that your business needs a one-time improvement, and you know exactly what has to be done, then project-based work is probably better for you. But, in case you need to make continual improvements, and are unable to define exactly what you have to do in order to reach the ultimate goal, go for a retainer contract. With projects, everything has to be worked out to the last detail. Under the retainer contract, however, the only two things that are set in stone are the budget and the objective. Not only does this give the agency the freedom to manoeuvre and employ different strategies, but it also guarantees superb results without much pre-planning. After all, not everything in business is predictable. Sometimes, the scope of work is unclear, and so is the path you need to head in order to accomplish what you want. Such scenarios ask for an ongoing process, a number of different projects, deliverables, services and skills, all of which can be obtained with a single retainer. Another benefit of retainers is a steady pay. Projects are pricey, especially if they take a lot of effort and time to finish. In comparison to budgeting one project at a time, the retainer contract is a true money-saver. Booking time in advance always pays off, not to mention that this type of deal usually assures multiple projects and services for the price of one (or, slightly higher). The biggest advantage of working with an agency for a longer period of time is that it allows you to build a relationship that’s truly valuable for both parties. It’s not only that you get to know each other’s work dynamic, though. It also gives the contractor an opportunity to understand your needs and pain points without you having to explicitly explain what they are. It goes without saying that this level of familiarity yields better results in less time. As always, there’ll be some twists and turns in the beginning, but you’ll have months to smooth that out. After the initial period, the agency will know exactly what you like and what you don’t like, just as well as what works for your specific market or niche. They’ll be able to predict and meet your demands on their own, thus saving you plenty of valuable time. Usually, clients believe that the retainer contract is an oath of honour based on mutual understanding and respect. Many contractors think that too, which leads to a fruitful and long-lasting cooperation. However, the possibility of earning “passive income” is too tempting, and there are agencies who don’t mind exploiting your trust. If the agency you choose operates on a large scale, there’s a probability that they won’t see your projects as a top-priority issue. In result, they’ll get busy fulfilling other clients’ requirements, leave your own for the last moment, deliver less than they could, and still charge you for what they’ve done. You can never tell if this is happening or not, unless you choose an agency that’s truly reliable and trustworthy. Also, a signed retainer means that you are fully dependent on the agency you’ve chosen to work with. Depending on the contract itself, you probably won’t be able to terminate the deal until it expires, even in case you’re unsatisfied with the results. If you opt for the wrong retainer model, there might be months when you’ll have to pay the same amount of money for an insignificant amount of work. This is another reason for not choosing any agency other than the one that’s been recommended by someone you trust. It’s very important to be careful with this, particularly if the services you’ll be paying for are out of your range of experience or knowledge. Let’s take marketing as an example – in case you don’t know anything about the amount of work that goes into planning and executing a social media campaign, you can easily get tricked. The agency will tell you that they had spent weeks on something that actually takes a day to finish, which means that not even a retained contracting model will prevent you from losing your money. Ultimately, no one can say that retainer-based work produces better results than one-off project agreements. It is only as good as it is suitable for your specific needs, the ones we’ve previously discussed. In any other situation, the retainer will bring you the same benefit as a project would, but for a bigger cost. If you are in need of deliverables that are already clearly defined and must be completed within a certain timeframe, signing a retainer doesn’t make much sense. The project will eventually end as planned, but you’ll have to continue to pay the monthly fee until the contract expires. This perfectly sums up why retainer contracts are bad for one-time needs as well. For instance, since re-branding campaigns are usually launched once in every 5 years and last for a couple of months, there’s no need for signing a long-term contract. Compare it to marketing – which rarely ever stops – and you get the idea of why project-based work is better for one-time needs, while retainers win when it comes to catering to continual ones. Now that you know how cautious you need to be when signing a retainer deal (and you hopefully learned whether you need one or not), there’s a number of things you can do in order to make the most out of the model a contractor has offered you. No long-term commitment comes without risks, so make sure you’re safe from the beginning. It’s way better than being sorry in the future, after all. What the marketing example has taught us is that we cannot always foretell how long a certain project will last. If so, be sure that both parties understand what that really means. Also, every indefinite project can and should be broken down into smaller, more manageable units that managers like to call milestones. In case you can’t fully comprehend the scope and duration of your project, you can define the scope and duration of at least one milestone. The retainer models aren’t set in stone. They are nothing but frameworks for an actual agreement, and some of their elements can be discussed, altered or combined. Finally, don’t hesitate to bring up the trial period. The agency might not offer it at first, but a little persistence goes a long way. In case they actually do, take it! Some testing ground is great for both you as a client and the agency as a contractor, since it might save you a lot of time and headache in the future. If your business needs an ongoing support, retainers really do make sense. Being a type of contract that sets a fair price for real value, they guarantee that all of your objectives will be met even if you have no idea how and when. The fact that your improvement will be in hands of a skilful contractor for a longer period of time is both great and risky, though. But, as long as you choose a reliable agency and the right retainer model, you can expect outstanding results.